Personalized Felt Pennants Just $14.99 Down From $35! PLUS FREE Shipping! You are here: Home / Great Deals / Personalized Felt Pennants Just $14.99 Down From $35! PLUS FREE Shipping! How fun are these Personalized Felt Pennants they are just $14.99 right now, down from $35, PLUS you get FREE SHIPPING!? Personalize your child’s space with a large felt sports pennant. 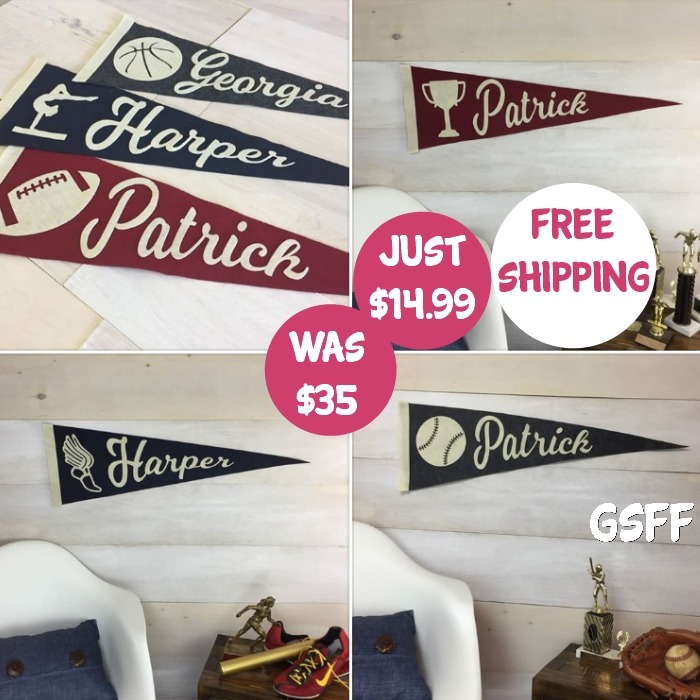 Inspired by vintage pennants, these large personalized pennants are sure to make a statement on a bedroom or playroom wall.